The 12th Seafood Expo will take place in Dubai at the end of October 2018. Seafood Expo, a biggest dedicated seafood event in the region, will take place for the twelfth time at the end of October 2018. – Transportation, logistics and distribution services. With its extensive ties to the international business, as well as the high per capita seafood consumption, the city of Dubai makes a perfect location for an event like this. The exhibition offers a unique opportunity to speak to the industry professionals and key personnel in person, to expand business connections, to make new deals and to effectively promote your own products and services. The visitors and exhibitors will be able to communicate with manufacturers, trade personnel (exporters/importers, distributors, retailers, suppliers, supermarkets and stores representatives), financial professionals (investors, consultants, bankers), government officials, trade association representatives and more. 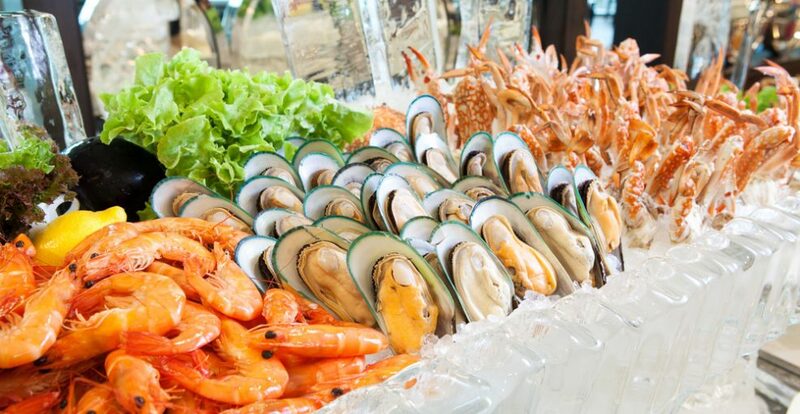 It’s also worth mentioning that regional seafood industry is mostly based on Islamic rules of food production and processing, so the event will be useful to those who try to follow religiously correct production technologies and procedures. For additional information and registration, please visit dubaiseafoodexpo.com.